is a small genus of blind or nearly-blind doryline ants native to subterreanean habitats in southeast Asia and Australia. 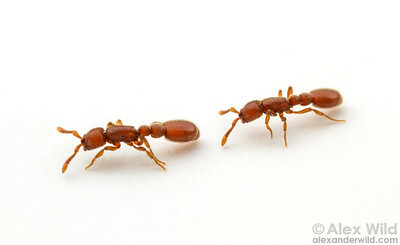 One species, the clonal raider ant O. biroi, is known as a model study species for social evolution. 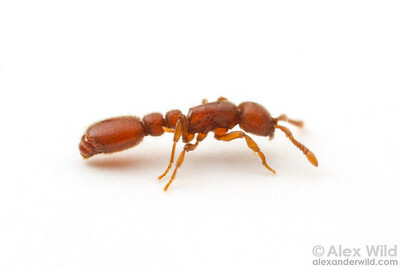 A worker of the only invasive doryline ant, Cerapachys biroi, an Asian species that has spread to many pacific islands. Laboratory culture at The Rockefeller University. Among the most unusual of all ant species, the clonal raider ant Cerapachys biroi has no specialized queen caste and is not eusocial. Instead, reproduction is carried out synchronously by most individuals in the colony. Laboratory animals at The Rockefeller University. 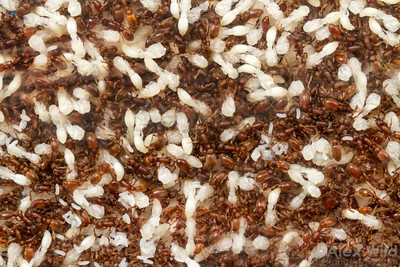 A laboratory colony of the clonal raider ant Cerapachys biroi at The Rockefeller University.